Vincent obtained a bachelor degree in laws and a bachelor degree in commerce from the University of Queensland, Australia. 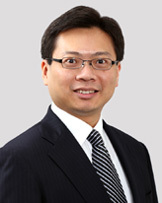 He was admitted as a solicitor in Australia in 1992 and in Hong Kong in 1994.Vincent is a solicitor practising in Hong Kong and a partner of K&L Gates. He has extensive experience in corporate finance and corporate compliance related work in Hong Kong and in China.